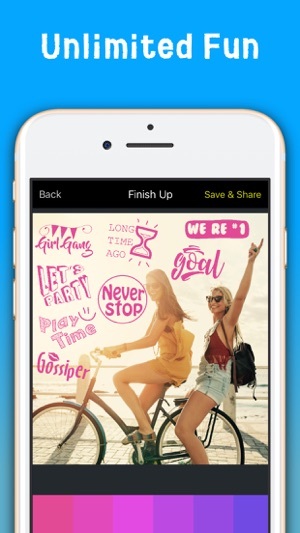 PalPic is the most extensive photo sticker app. 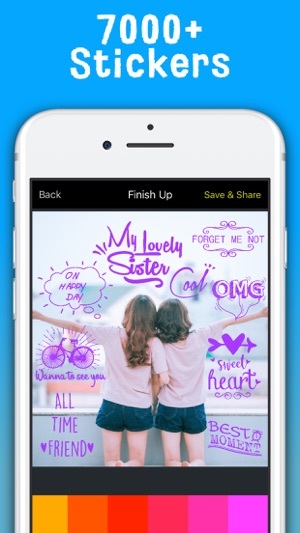 With the HUGE sticker collection focusing on friend relationship and special occasion, you can decorate your picture in the best way possible. It’s time for you to create some lifelong memories with your friends. Reflecting your moment with meaningful sticker. Enjoy the non-stop fun right at your fingertips! 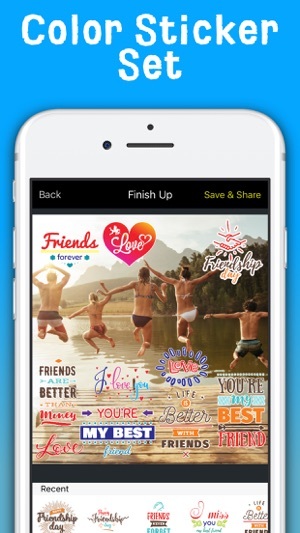 Supercharge your photos by FREE color stickers. Save the image and share it to Instagram, Facebook in seconds. Follow us on Instagram and Facebook at #PalPicApp. Add #PalPic, #PalPicApp to have a chance to be featured. Are you ready to add a personal touch to your images, and show the ones you love, like or moderately tolerate (haha) that you’ve had some great times together - and that you can’t wait to make more memories? What are you waiting for? Share your wonderful moments today! Need help? Contact us at support@allyouneedapp.com. We will do our best for your issue. We cannot contact you through your review. * Stickers are in 11 difference languages including English, Japanese, Chinese (Simplified), Korean, Italian, Spanish, French, German, Portuguese (Brazilian), Russian, and Thai. 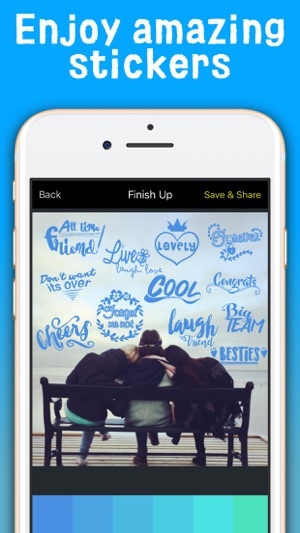 Great app for editing and sharing photos with friends. I especially love all the stickers and text options. In combination with another app I have, nothing can match it. Great fun. I highly recommend this one! It was fun using this app. 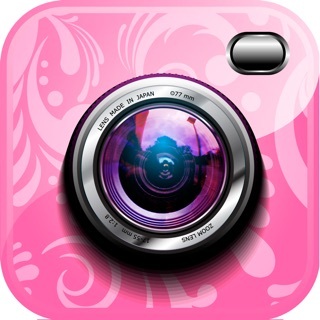 User friendly and has a lot of filters and icon that you can use to edit pictures.